The British seaside and those glorious heydays of where will we take our next seaside holidays in the UK? We always went to the seaside when I was a kid, from the beaches of N. Ireland to the Kent coast. It was all buckets and spades, fish and chips and a 99 ice cream cone. Didn’t matter if it was rainy, cold or a beautiful golden day, by god we were going to the seaside. 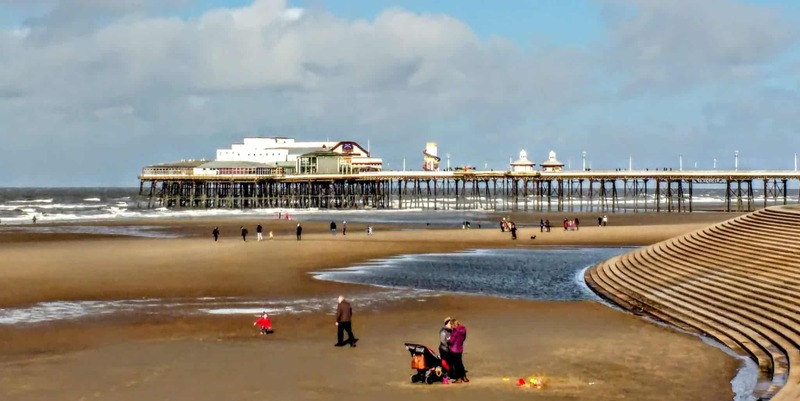 From beach huts to penny arcades Britain’s seaside villages and towns have long endured waves of visitors, tourists and locals flocking in to enjoy their offerings. From the bright lights and illuminations in places like Blackpool to the quieter more delicate sensibilities of beach towns like Hastings. Kings and Queens alike have all enjoy a British holiday by the seaside and many an emigrant recalls their days at the great British beaches. You might not believe that Britain could have such brilliant beaches but it does. Rain or shine British beaches are some of the best in the world and it doesn’t matter if their Victorian charms are becoming faded, or they don’t have fancy water crafts or banana boats to mess around in Britain’s seaside has something for everyone. These are the greatest seaside towns in Britain visited and written by those who have traveled the world (and explored at length their own areas of Britain). These are 26 of the best and prettiest seaside villages in the UK to explore and enjoy. Where to take my seaside holidays in the UK? ‘Footdee is an old fishing village on the east coast of Scotland and despite its spelling it is actually pronounced ‘Fittee’ by the locals. Although it sits on the edge of the city of Aberdeen, it is still a bit of a hidden gem, tucked away on its own at the head of a little peninsula. Those that do discover it are in for a treat as it is unlike any historic fishing village I’ve been to before. There are the usual rows of charming little cottages dating to the mid-19th century, some with brightly painted doors and nautical ornaments adorning their exterior. However, it is the colourful and quirky outhouses in the village square that make this place so unique today. The community was originally built to provide better quality accommodation for nearby fisher families and Footdee is now deemed a conservation area. The eccentric structures in the village centre were originally constructed on the common green to provide extra space for the residents as the cottage interiors were so small and often home to multiple families. The outside sheds historically had a practical use as wash-houses and storehouses for fishing gear and wet clothes. Today they are a jumble of rustic and uniquely decorated buildings that are more akin to something you would find in an artists’ colony. When travelling, there are times when you stop, stare and smile at the beauty you see. We were house sitting four adorable rabbits in Dorset and decided to spend the day in the seaside town of Dartmouth. Winding our way down the two-lane roads to Kingswear and the River Dart, we kept pace at times with the impressive Dartmouth Steam Train. But it was picture postcard view of brightly coloured houses and fishing boats of Dartmouth, that had us entranced. Dartmouth Passenger Ferry from Kingswear across the River Dart is the best way to get to Dartmouth. It’s a quick trip across arriving at Dartmouth embankment where you can begin with a stroll along the water’s edge. Here you can find beautiful cafes and restaurants, with a view of the impressive Britannia Royal Naval College. Next stop if you love shopping is to stroll along Foss Street with its old English boutique shops with charming bay windows. If you are up for a walk, Dartmouth Castle at the mouth of River Dart is well worth a visit. The walk to here has wonderful views, and the castle holds a history back to 1388. You’ll also enjoy the Dartmouth Museum where you can learn more about the maritime history of Dartmouth when it was a trade port. One of the best things to do in Dartmouth is to buy yourself some delicious fish and chips. Yum, yum, yum. Then head to the Royal Avenue Gardens to enjoy eating them. The gardens are another highlight of Dartmouth. And before you leave, why not enjoy a cruise along the River Dart to see Sir Walter Raleigh’s boathouse and Agatha Christie’s estate. Dovercourt is a great beach town in Essex. It works really well as a day trip from London. You can get there by train from Liverpool Street with a change at Manningtree. The journey takes about 1,5 hours. Dovercourt Beach is lovely to have a picnic, go for walk or swim if it’s a hot day. You can also fly a kite if it’s windy. There are several cute beach huts as well. We had some time to pass and visited a cute little family run cafe called The White Coffee House. They had delicious cakes and a different selection of teas. My favourite activity in Dovercourt, however, was kayaking. Nomad Sea Kayaking organises eco-seal colony kayak trips. We covered 13 km by kayak, which took about 5 hours with a short snack break. We were absolutely knackered by the end, as we had challenging conditions. But we had a lot of fun and it was an unforgettable experience. We saw seals in their natural habitat. Our guide told us how to behave around the seals, so we won’t disrupt them. We had to be quiet and not approach them. The seals were very curious. I loved how they popped their head out of the water and stared at us. A truly unique experience for any nature and wildlife lover! Portrush, Northern Ireland is a small seaside town whose reputation is almost mythical in my family. While my grandfather was serving in the Canadian Navy during World War 2 he heard a hot tip that Portrush was a great place to spend a shore leave. Indeed, Portrush used to be a place where many people in the UK vacationed. With that he and a friend headed there and within a few days he had met the love of his life, my grandmother Margaret. By the time his leave was over, the two were already engaged and were married during his next leave. He wore his Navy uniform and she wore a stylish wool skirt and suit jacket. Over the years many of my family members had visited Portrush and I was eager to do the same. While it’s no longer a popular vacation spot in the UK as most people jet off to Spain now, Portrush remains a charming place to visit. Situated along the gorgeous North Coast highway in County Antrim, the relaxed coastal town serves as a great base to explore unmissable sights like the Giant’s Causeway, Bushmills Distillery, Rathlin Island, Dunluce Castle and Carrick-a-Rede rope bridge. It also features one of the country’s most popular nightclub complexes, Kelly’s, which spans over multiple floors and attracts famous DJs from all over the world. If folk music is more your style, the Atlantic Sessions music festival takes place every year in Novemeber and features an eclectic mix of free North Coast artist performances spread out over the beautiful backdrop of coastal towns such as Portrush and Portstewart. There you can enjoy your coffee or Guinness with a side of local music. So while it may be tempting to pass by small Northern Ireland towns without stopping, places like Portrush have a lot to offer travellers and should not be missed. Scarborough is a popular seaside town on the North Yorkshire coastline. It is set on a hill with the main town and shops at the top of the hill and everything you expect from a seaside resort down on the lower level. It is a very picturesque town and every visit can bring something new to see or do. It is hard to run out of things to do in Scarborough. If you don’t fancy the steep walk up or down the hill head on down to the far south of the south beach and take the vintage tram up or down. On the promenade you will find restaurants galore including fish and chips, seafood and more. Most of the restaurants here look out to the beach or harbour. The main road is lined with amusements and there’s a mini fairground up at the top end. 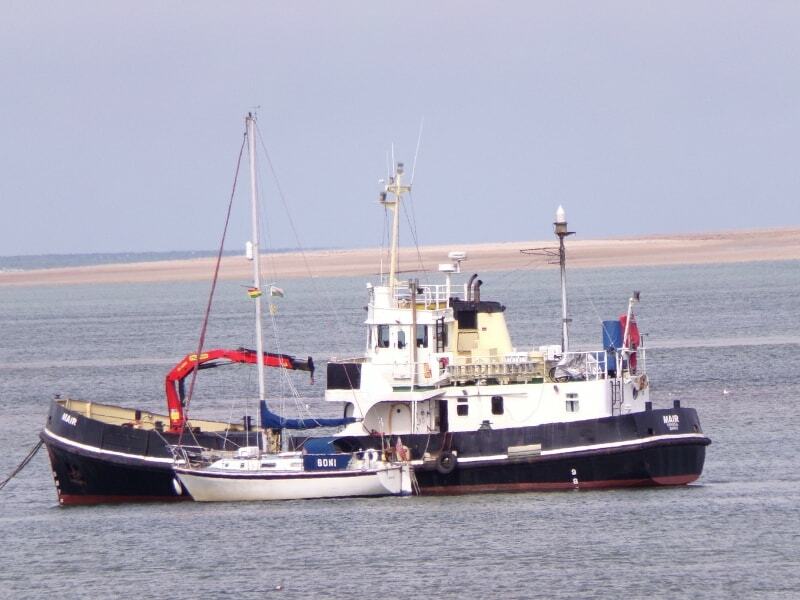 If boats are your thing there’s plenty of boat cruises from the harbour from speed boats to pirate ships and wildlife spotting trips to sea fishing boats. High up on the cliff side you will find the ruined, English Heritage run, Scarborough Castle. It’s a great place to explore and well worth a visit. From the top, you can look out over to the north or south beach. The north beach is being rapidly developed with new 5* holiday apartment lets, the popular Peasholm park with a Chinese theme and boat hire on the lake. Plus you can take a steam train up to the Scarborough Sealife centre. Another fun place to visit is the massive water Park, Alpamere. If you visit as the tide is going out be sure to take your fishing net as it’s really easy to catch crabs in the rockpools of the north beach. Scarborough is a multi-generation resort. Bournemouth is a coastal British sea-side town. Located on the Southern coast of England, and with 7 miles long beaches, Bournemouth is a very popular holiday destination. Bournemouth offers busy nightlife, great food, and amazing beaches. Amongst other touristy sights in Bournemouth there is the Old Harry Rocks, which is a unique formation of rocks on the coast, and as well as the Bournemouth Lower Gardens to walk around for a perfect day out. Whether you’re looking to relax by the beach or looking for sport or water activities- Bournemouth has all of that to offer; Visitors can rent a beach hut and spend the day chilling at the beautiful sandy beach. Alternatively, there is also opportunities to hike such as at the Hengistbury Head to enjoy panoramic views. Indeed, Bournemouth is the perfect holiday destination whether you are looking for a romantic gateway with your partner, or even looking for a family holiday with kids. One of the prettiest seaside towns I’ve had the pleasure of visiting is Tenby in West Wales. Situated on the Pembrokeshire coastline on the western side of Carmarthen Bay, this beautiful little-walled town is the ideal place for a stroll around. It is both a harbour town and popular seaside destination thanks to the stretches of sandy shoreline. Tenby is a town dating back over one thousand years and still retains much of the 13th century medieval town walls along with the Five Arches Barbican gatehouse, St Mary’s Church dating back to the 15th century and the National Trust’s Tudor Merchant’s house, a popular tourist spot and the oldest standing building in Tenby. Aside from these, you can also visit the ruins of Tenby Castle and, if the tide is low, you could visit St Catherine’s Island with its 19th-century fortification, although the fort itself is closed to the public. Tenby is a mixture of streets and little lanes containing high street shops alongside arts and crafts stores often selling handmade, locally produced items. You are guaranteed to find some beautiful souvenirs in these types of shops. If you are hungry, you have a wealth of pubs, cafes and restaurants to choose from. 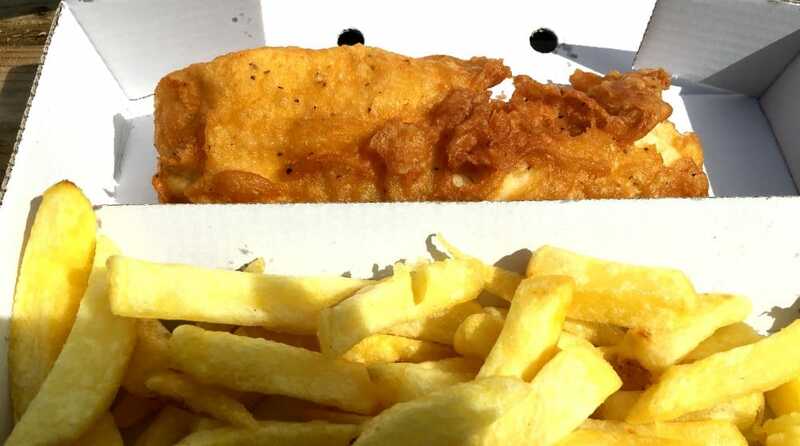 But nothing tastes better in a British seaside town than fish and chips and in Tenby, you won’t be short of finding good fish and chips to enjoy. Tenby is a typical British seaside town and is one not-to-be-missed if you are in Pembrokeshire. Just off the Welsh mainland on the Pembrokeshire Coast, Skomer Island is home to tens of thousands of seabirds during the spring and summer nesting seasons. The Wildlife Trust of South and West Wales manages this stunning destination and has made visiting this incredible site easy and fun for visitors. Few places feel as wild as Skomer Island, and you can spend the day seeing all kinds of nesting birds, including Atlantic Puffins, as well as harbour seals basking on the rocky shores. 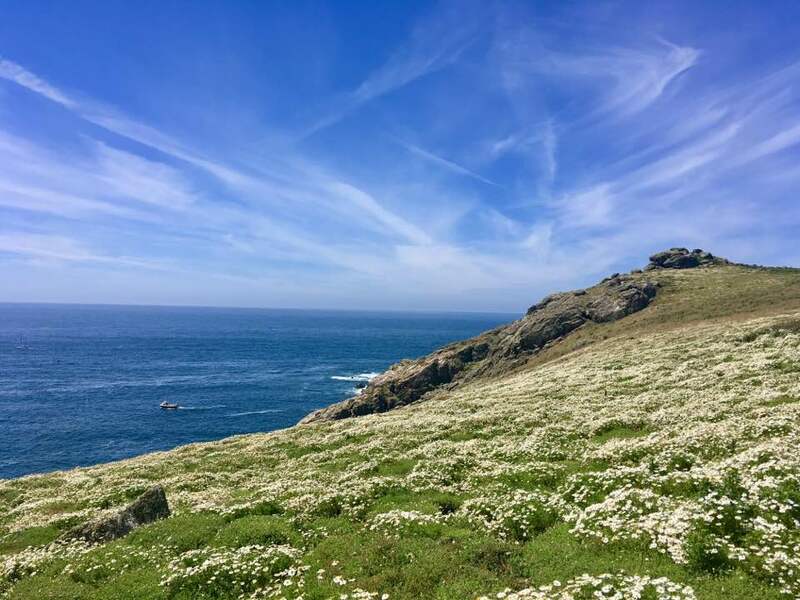 Visit in June and early July to see the windblown hills covered in all rainbow colours of wildflowers – keep in mind that by the end of July, many of the nesting birds will be out to sea again for the season. If you book well ahead of time, you can stay on the Island in the Trust’s self-catering accommodation to experience the island after the last ferry has left for the day. You’ll have the sunrises and sunsets nearly to yourself, and as dusk hits, you can see the largest colony of Storm Petrels in Europe come alive under the cover of darkness. Please be careful about staying on the designated pathways and not disturbing the birds as they pass (nearly) underfoot. Skomer is only accessible from 1 April to 30 September, and it is closed on Mondays. An organized boat ferries people to Skomer from Lockley Lodge Visitor Center three times per day – be sure to arrive at least an hour before opening time to ensure yourself a spot! Pack your layers, including a raincoat, and plenty of snacks and water to prepare you for a day walking around the island – don’t miss the opportunity to experience this one-of-a-kind destination in beautiful Wales! Hove is far more than Brighton’s other half. In fact, when it comes to the salty air of the seaside and a spot to pop down your deck chair, I’d say Hove had the most to offer. 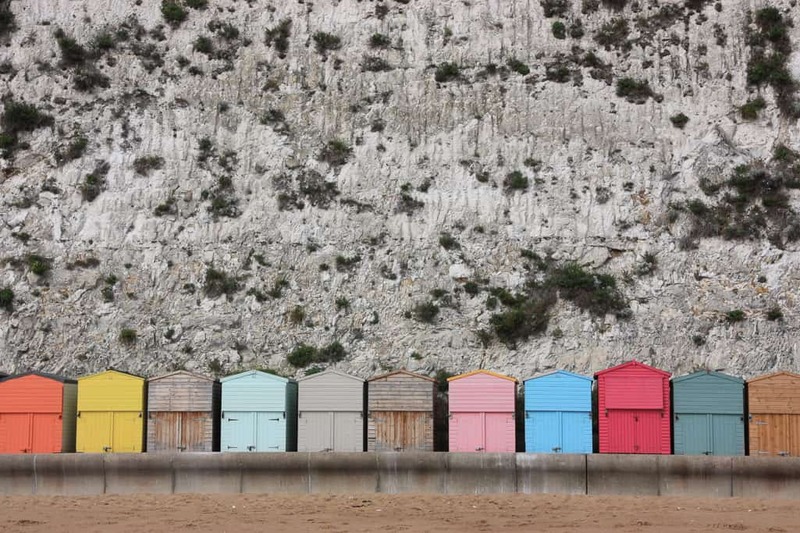 On the hunt for iconic beach huts? They’re here. 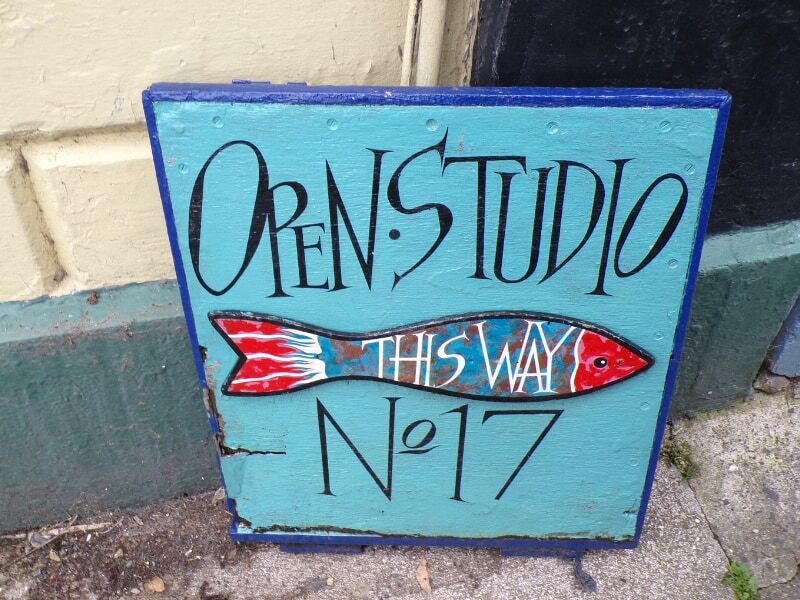 Dancing and musical performances in the open air? That’s Hove Bandstand. Wide lawns and beaches where you can have a BBQ in the summer? That’s what makes Hove special. You can’t go wrong on a sunny day with a trip to Hove Lawns Cafe, where you can watch the whole world go by and grab an ice cream. After that, walk past the rows of roller skaters and walkers on the promenade to picnic by the seafront on soft lawns. Bring a blanket and a book. Next, you can explore the world of days gone by at Hove’s Regency Townhouse. When the sun starts to set you’ll get gorgeous shots of the waves, or selfies in front of those iconic beach huts in a warm sunny glow. After dark, the best stargazing in the city with the least light pollution starts from the furthest end of the row of huts. The moon has never looked brighter. Small winding streets, leading into the most charming shops. Shacks, selling fresh cockles and oysters over ice. Fish battered just right, served with chips and malted vinegar on every street corner. And endless shops filled with excavated dinosaur bones. These were our first impressions of the beautiful, and very English, seaside town of Lyme Regis. Situated in West Dorset, also known as the Jurassic Coast, this resort town is filled with all the quintessential British coastal hues and flavours. Beach huts painted in pastel colours to brighten up the grey skies, seagulls hovering over to see if they can score a bit of the chip that may have fallen out of your paper cones, and families scouring the beach for some artefacts from long ago. Not to be missed is a dip in the cold waters. This in itself will liven up any day. There is, of course, ice cream and arcades for the kids, and for the adults, the most charming thatched roof pubs that serve good British fare and pints upon pints of lager. Lyme Regis to us encapsulates storybook images of what a day on the English seaside would be. Polperro is everything you want a British seaside town to be: friendly, quaint and a little bit quirky. Not only does it have plenty of traditional British favourites – including the best Cornish pasty in the world and incredible Cornish ice cream – but it somehow mixes them all with a very modern vibe. Hiking trails, beautiful beaches and rolling hills are only a short walk away from the town of Polperro. Whether you’re looking for a little bit of adventure, a complete escape from modern life or a lazy day at the beach, Polperro makes a fantastic base. It’s perfect for a very British family getaway or even for a couple’s holiday. 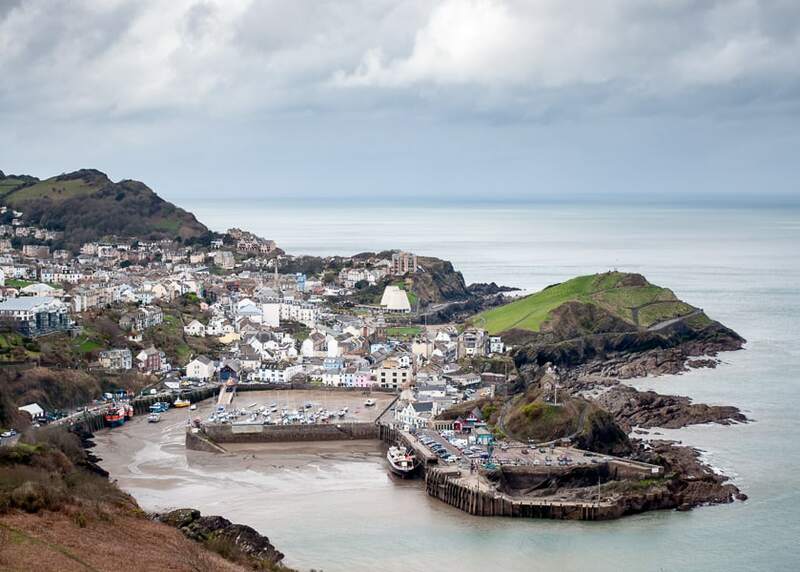 Ilfracombe on the north Devon coast is a picture postcard seaside town famed for its ‘curious coastal charm’, craggy scenery, stunning beaches and rolling hills. The small, but the perfectly formed harbour is lined with fishermen’s cottages, quaint buildings, shops, galleries, pubs and restaurants. Fresh locally caught fish, seafood, crabs and lobster are sold each day from the quayside. The town has a network of winding alleys and lanes which all head down to the pretty little harbour. For me, the best thing about Ilfracombe is its beaches. Head to this quaint little town and you’ll be spoilt for choice. Tunnels hewn into the cliffs will lead you to calm bathing pools at Tunnels Beach. Beautifully sheltered and sandy with shallow bathing pools Tunnels Beaches are perfect for families with small children. If like me, you like your beach craggy and wild then you have a few to choose from. Nearby Woolacombe with its swathes of golden sand has been rated by Trip Advisor as the fourth best beach in Europe. 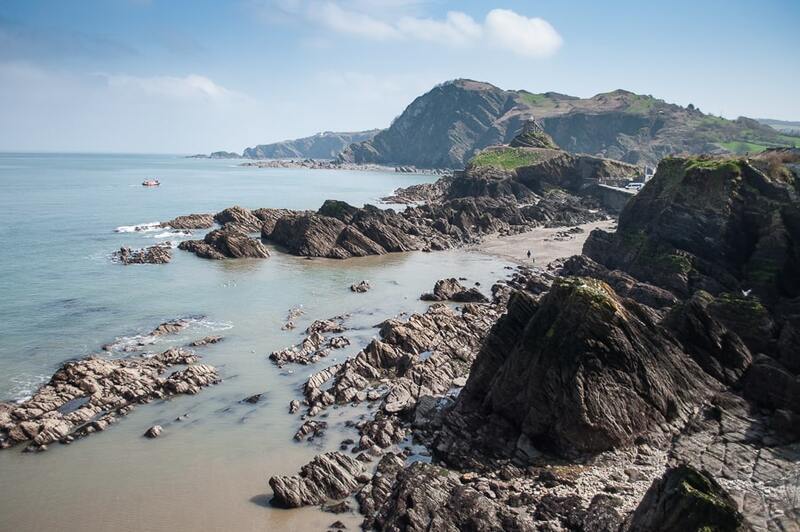 Coastal walks with stunning Devon scenery are a few steps away and for the energetic, the rugged coastline of the South West Coastal Path passes right by the town. Capstone is the perfect place to catch a sunset and the views from Lantern Hill are more than worth the climb. Off the coast of North Wales lies a sleepy little seaside village called Conwy. There are many things that set Conwy apart from other sleepy seaside villages, but the one you cannot miss is the enormous 13th-century castle looming high over the walled village. One of the best things to do in Conwy is to steal a bird’s eye view of the Conwy Suspension bridge build in 1826 by Thomas Telford. The suspension bridge is one of the earliest suspension brides ever built and is designed to blend in with the medieval look and feel of the castle. Don’t forget to stop by St. Mary’s church while you’re in Conwy. The church is even older than the castle and dates back to 1190 when it was part of the Cistercian Abercony Abbey. Conwy is also curiously home to the tiniest house in Britain! Make sure to stop by and explore all 6 feet of the house which was once home to a 6’3” tall fisherman. Of all the whimsical things to do in Conwy, my favorite part was soaking up the atmosphere of this quaint little seaside town by ordering a basket of fish and chips accompanied with some steamed mussels and eating them along the banks of the Conwy Estuary with views of sailboats and the castle walls mysteriously looming in the background. Northern Ireland probably isn’t the first place you think of for seaside towns, but it actually has some incredible beaches. My favourite spot is Portstewart. I discovered it on a Northern Ireland road trip and completely fell in love. 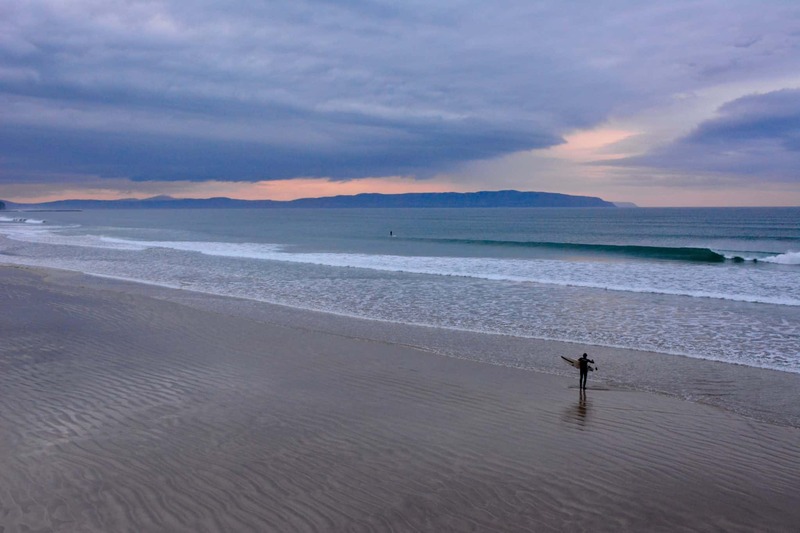 Located in County Londonderry, the small town has, in my opinion, Northern Irelands best beach – Portstewart Strand – two miles of glorious golden sand, great surf and stunning scenery. The blue flag beach is protected by the National Trust and is one of the few beaches in NI that you can drive your car onto, making it even easier to have a seaside picnic. Situated right on the sand is a great seafood restaurant called Harry’s Shack, perfect for a post-surf beer or a romantic dinner watching the sunset. You can also see Mussenden Temple from the strand, an iconic cliff top temple built in 1785. The main town of Portstewart has a lovely little harbour, promenade and great cafes and restaurants. It’s right up there as one of my favourite seaside towns and I can’t wait to go back! Ullapool is a small, picturesque, highland coastal town situated on Loch Broom in north-west Scotland. It has always been associated with fishing, ever since its birth as a herring port in 1788. Despite being located so far north, it benefits from the effects of the North Atlantic Drift which brings a degree of warmth to the surrounding air and ocean. The neighbouring lush tropical gardens of Inverewe are evidence of this. Ever since the North Coast 500 route became popular, this town has been a must-see for tourists and an ideal place to lunch amongst breath-taking scenery. And because of this, it has long been on our bucket list. This summer we were given the opportunity to do just this, and we were not disappointed. The approach through the wild Wester Ross landscape, with its stunning combination of mountains and lochs, is already impressive. We park and head down to the harbour area where all the action is. There is real energy with both tourists and locals concentrated around the ferry terminal that serves the Western Isles. The pretty waterfront is blessed with a choice of cafes and restaurants that overlook the loch dotted with colourful boats and a dramatic backdrop of distant heather hills. We opt for locally caught fish and chips, which is eaten alfresco on a sunny terrace. Ullapool is famous for its seafood and this is some of the best fish, I have ever had. Lunch is followed by a stop at Gelato which sells the most amazing artisan ice cream. Exploring the little whitewashed town further we discover an array of craft shops, galleries and an interesting antique shop. But this town is not just about lunch and shopping, it’s the raw natural beauty that really makes it a special place to visit. Oban is my favourite wee (= small) town in Scotland. Its location on the west coast of Scotland also earnt it the name Gateway to the Isles and it’s the perfect location for a seaside getaway with island hopping in Scotland. The town has a picturesque harbour with a colourful waterfront and houses dotting the hills behind it. I love going for walks along the waterfront and all the way to Dunollie Castle, which lies about 1 mile up the shore. Along the shore, there are little boats offering day trips to local seal colonies, wildlife tours to see basking sharks or puffins, or island hopping around the smaller islands off the coast. For bigger adventures, the Calmac ferry port in town operates connections to the isles of Mull, Tiree, Colonsay, Coll, Lismore and even the Isle of Barra in the Outer Hebrides. You can bring your car across, or board as a foot passenger to explore the islands on foot or by bike. You could easily base yourself in Oban and discover a different island every few days. Back on the mainland, there is a lot more to see and do in Oban. The best view over the town, the Sound of Kerrera and the Isle of Mull is from McCaig’s Tower high above the harbour. You can drive there or reach it by foot after a 20-minute walk up the hill. Another highlight is the Oban Distillery where you can learn everything about making whisky and have a dram (= a drink) yourself! Broadstairs is a small seaside town on the tip of Kent. Well known as a family-friendly town it has an interesting history and a small town feel to it. Viking Bay is the main beach with a large sandy beach which slopes gently at high tide and rock pools for exploring at low tide. There is also a salt water pool to explore when the tide is out. Perfect for family holidays. Above the beach is the small harbour and Bleak House. Built-in 1801 this impressive house (now a B&B) was once the home of Charles Dickens and his influence is felt through the numerous celebrations of his life in the town. The Dickens Festival in June is unique, celebrating his life and times. As with all seaside towns, there are small shops, arcades, a cinema and the best ice cream from Morellis. As a child, I remember the taste of the ice cream and returning with my own children the knickerbocker glories are still amazing. Torquay is an old seaside town in Devon that is a part of English Riviera. The weather there is milder and sunnier than in most parts of Britain. This traditional fishing and agricultural town has become a chic seaside resort for the rich and the fashionable during the 19th century. Nowadays, Torquay still remains one of the best places to visit in the United Kingdom because of its relaxed vibe, idyllic coasts, traditional buildings, and historic attractions. Torquay offers various water sports such as sailing, waterskiing, Ringo rides, wakeboarding, and fishing. National and international sailing competitions occur in its beautiful horseshoe-shaped Tor Bay while luxurious yachts can be admired from the stunning Torrey Abbey Sands. It is one of the best places for learning sailing or enjoying other watersports in the United Kingdom because of its mostly calm waters. Another awesome thing about Torquay is its very vibrant night scenes. There are three main theatres in Torquay: the Babbacombe Theater, Princess Theatre, and the Little Theatre. The Victorian theatres offer nightly musicals, concerts, ballets, shows, and even comedies. 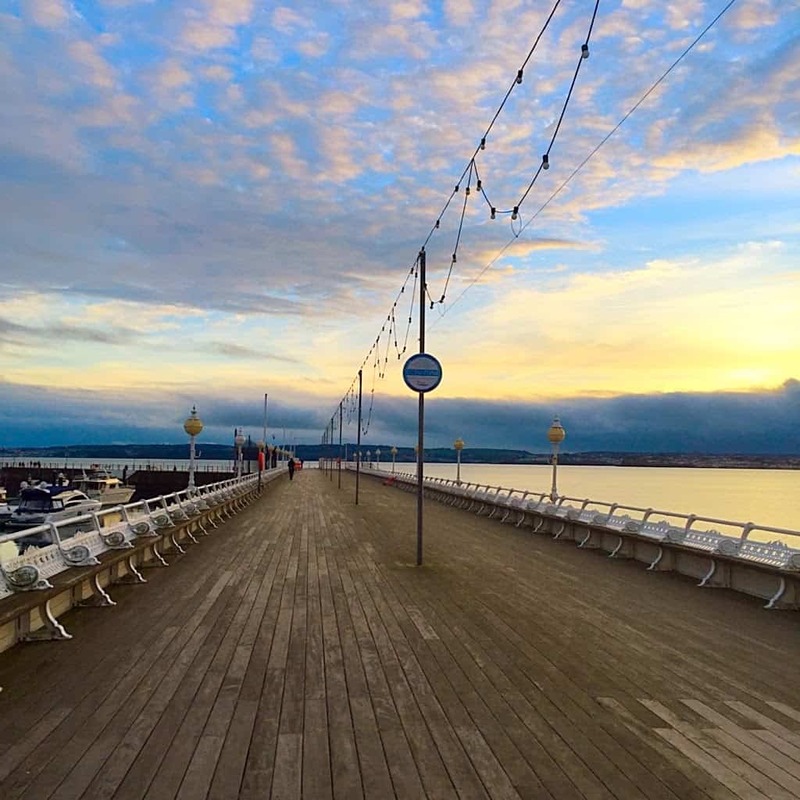 The relaxed atmosphere and long stretch of the stunning promenade of Torquay also make it ideal for strolling, especially along the South West Coast Path with its picturesque cliff views. While you’re at it, take the path to Seafood Coast of England and make a stop at one of their traditional restaurants that serve fresh catch every day. The seaside town of Torquay is also home to Britain’s most important archaeological site, Kent’s Cavern that was home to ancient humans from 40,000 years ago. The medieval Torrey Abbey is also a popular historic site with galleries and a children’s playground overlooking the seafront. My favourite British seaside town or village is Bryher. It is located on the gorgeous Isles of Scilly, just off the Cornish coast in the southwestern part of England. It is quite an isolated seaside town I dare say! In general, the Isles of Scilly are known to have stunning scenery, as well as being home to sub-tropical plants, sandy beaches and breath-taking views of the ocean. They are a perfect idea for a getaway vacation to spend some quality time with yourself away from all the city craziness! Bryher has been long discovered by our English ancestors. In fact, Bryher is home to the infamous Hell Bay. Have you ever heard of it? Simply put, Hell Bay is every sailor’s nightmare. Facing the Atlantic, it is known for being one of the most notorious places for shipwrecks. In the old days, almost every ship whose destination was Hell Bay at Bryher never actually made it. Apparently, it still is home to some shipwrecks from the 18th and 19th centuries. Besides this interesting historical fact, you can find varied accommodation on the island. Whether you prefer to book a guesthouse, a hotel or stay in a seaside cottage, the choice is entirely yours. The island is easily accessible by boat. Sometimes, you might even be able to walk from Bryher to another town called Tresco if the tide is low enough. What’s best, the island has a shop, a café and a bar, so there is no need to worry about getting bored. Nothing beats a coffee with a lovely view. All in all, I highly recommend visiting Bryher and experiencing the impeccable scenery only found on the Isles of Scilly. To learn more about my experiences at Bryher, check out my travel review on my food and travel blog here. Newquay is my favourite British seaside town. I’ve been a couple of times but it was my most recent visit that really captured my heart. What’s to love? Well, it’s no secret that Newquay isn’t short on a beach or two – but you have to see the scale and beauty of them in person. Fine sand, warm waters (well in the summer at least) – when the sun is out and shining, it’s one of the best places to be in the UK. Of course, Newquay is one of the stops on the South West Coast Path hike. I’d recommend strapping on your hiking boots and setting off for a hike along the coast to nearby villages and beaches such as Crantock Beach, which is framed by huge coastal dunes. 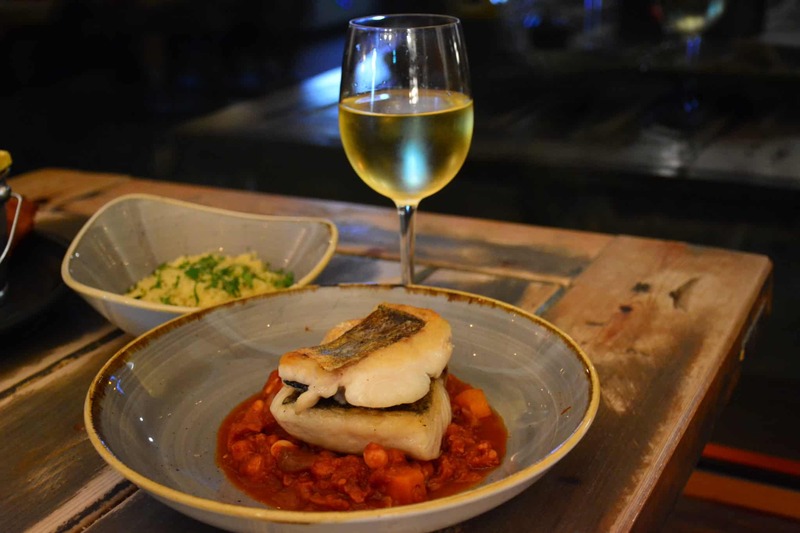 But hanging out on beaches isn’t the only thing to do in Newquay – in recent years a proliferation of cool independent shops, restaurants and bars have popped up all over town, ready for you to explore. The Tom Thumb cocktail bar is one of my faves – you have to pop in for a cocktail or two to round off your day. In short, it’s the perfect British seaside getaway. Southwold, on the Suffolk Coast, is one of our favourite seaside towns. 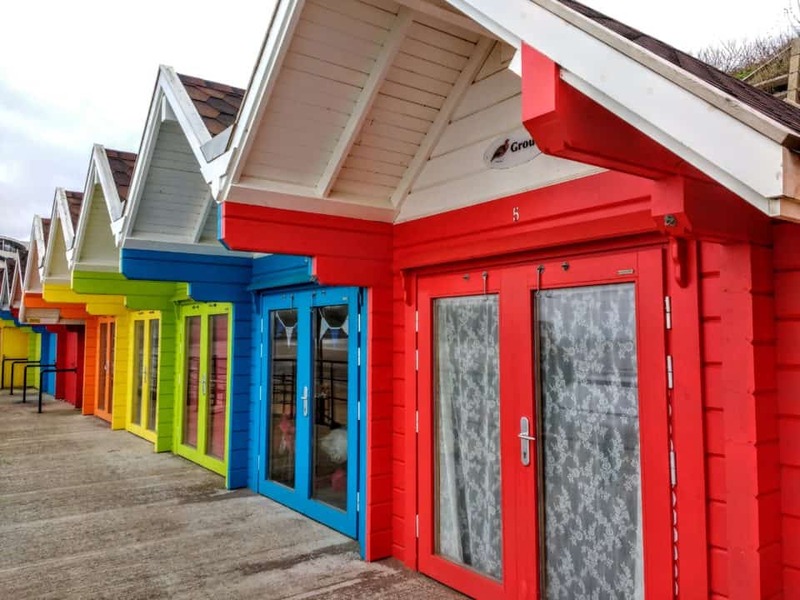 It’s a charmingly old-fashioned place, with brightly-coloured beach huts, Punch and Judy shows and a great fish and chip shop beside the sea. The award-winning beach here is ideal for families and you might even find some amber on the sand – some of the stones are 30 to 40 million years old. We also love Southwold Pier, with its funny mechanical water clock and eccentric slot machines where you can play games like Whack-a-Banker or Frankenstein, the wind-up monster. Wander to the end of the pier and you might be able to spot a seal or a porpoise in the North Sea. 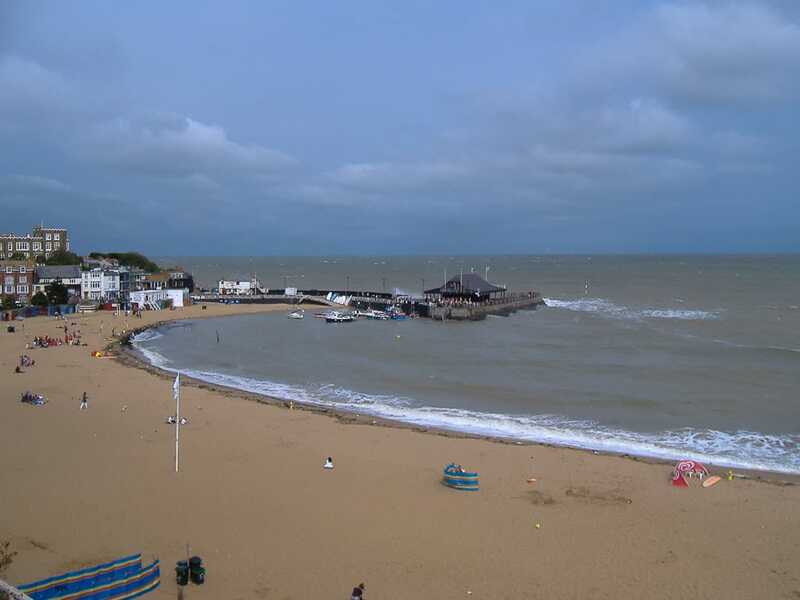 If you walk all the way past the beach huts towards the lighthouse you’ll eventually come to the harbour. Take a ride on the rowing boat ferry across the water to the delightful village of Walberswick. This is the place to go crabbing or have a cream tea in one of the pretty cafés on the village green. Nestling into the estuary on the north coast of Devon, you’ll find the fishing village of Appledore. bursting with seafaring traditions, the village has a maritime museum filled with tales of smuggling, Viking invasions and voyages to the New World. When you first arrive, you’ll find a village sign depicting all that Appledore has to offer; it’s a piece of art in its own right. Wander a little down the Quay, and you start to see why this is no ordinary village. Brightly painted cottages have wild and extravagant door knockers, depicting life lived close to the waves. Then you have the galleries, vibrant with local artwork. There’s a fine deli, crammed with local produce and well-designed for making a picnic to fuel exploration. Grab yourself a spot on the Quay, or if the tide is out, wander down to perch by the water. You should find a van selling locally made ice cream to finish up your lunch. Afterwards, take a wander down the narrow lanes, filled with more intricately decorated cottages, one-off shops and some rather lovely pubs. There’s a tiny ferry to take you across to Instow on the other side of the river, with broad sands ready to enjoy, spotting all kinds of watercraft as you go. There’s sailing here too, and you might spot boats racing in the estuary. Visit in September and you’ll be treated to the Appledore Book Festival. Full of talks from internationally renowned authors such as Michael Palin and with a collection of great activities including ghost walks, the Festival’s a good time to visit. But whenever you take that spectacular journey to Appledore, you’ll find it a great place to recharge, challenge your mind and celebrate the beauty of the coast. Located on the North East Coast in the County of Northumberland, Bamburgh hosts one of the most glorious beaches in England. Period. Miles of golden untouched sand, the bracing winds from the North Sea and sand dunes that are completely unsullied provide a backdrop for the most magnificent of castles. The village of Bamburgh is dominated by Bamburgh Castle, and rightly so. This seat of the Kings of Northumbria was also the home of the First Lord Armstrong – who designed and built the first house in Britain to be lit by hydro-electricity as well as building the famous armament company – is a truly magnificent castle to visit. Bamburgh is also famous for being the home of Grace Darling, Victorian Britain’s greatest heroine following the 1838 rescue she performed with her lighthouse man father, of survivors of the wreck the SS Forfarshire. There’s a museum here about her life and the rescues. You can also visit her grave in the nearby St Aidan’s Churchyard and take a trip to the Longstone Lighthouse where she lived with her family. Stay in the local bed and breakfast or hotels, or rent a cottage nearby to Bamburgh, it is a truly magical British town. If that’s not enough magic for you, then the Harry Potter Town of Alnwick lies just down the road….. When you think of St. Andrews Scotland, most people think of golf. Yes, this is where the game of golf was created and to play on the Old Course is a golfer’s dream. Especially, if said golfer gets to take an infamous photo on the Swilcan Bridge located at the 18th hole. However, there is a lot more to this town that is located on the east coast of Scotland. One of the most interesting things to do is roam the graveyard located right at the ruins of St. Andrews Castle. These ruins overlook the North Sea and have a dungeon and lots of old, old gravesites to explore. As you walk the street more towards the center of town, don’t pass up North Point Café. If you are a fan of Kate and William like I am, this little café is where they frequently had coffee together. Prince William attended St. Andrews University, one of the oldest Universities in the English-speaking language and very impressive. You can wander some to see a few of the buildings. In town there is a good amount of shopping and of course delicious food. A must is to try a cheese scone, yum! There is also the Golf Museum, of course, and plenty of golf gifts to fill up on. Take a walk along their seaside beach, West Sands Beach. A two-mile-long stretch of pretty sand to view the sea and the golf course. St. Andrews is definitely a town for golfers, but there is plenty to do if you don’t play. You can always enjoy the amazing Spa at the Fairmont St. Andrews like I did while the hubby was golfing! Learn more about golfing on the Old Course of St. Andrews here. Famous for its world-class surf, the tiny village of Croyde, tucked away on the dramatic North Devon coast, is the perfect coastal getaway. Hugged by sand dunes and flanked by rock pools Croyde’s impressive sandy beach has something for everyone. Pounding waves attract the UK surfing elite, whilst Baggy Point, an impressive headland jutting out into the Atlantic is a walker’s delight. With crashing waves and dramatic cliffs, this National Trust headland has a well-trodden coastal path with spectacular ocean views. Wrapped up in Winter it’s the perfect wild walk to blow out the cobwebs. The quaint village of Croyde houses charming thatched cottages and hearty welcoming pubs whilst cool cafés The Stores and Blue Groove churn out delicious fodder. GoldCoast Oceanfest, an award-winning surf & music festival takes place here in June every year, small enough to be family friendly but big enough to boast top UK headline acts. Don’t miss a thrilling beach ride with local riding stables, Roylands or if you join the crowds in Summer, get in line to taste the delicious stone baked pizzas from pop up pizzeria ‘Stoned’ outside Croyde Stores every night throughout peak season. Rammed in Summer my advice is to visit Croyde on the shoulder seasons of May or September when the crowds dwindle but none of the village’s charm. Good to know: Accommodation a stone’s throw from the beach in Croyde is hard to come by but Ruda Holiday Park, expensive during peak summer months, do bargain deals come low season. Fowey (pronounced Foy) is a tiny fishing village the south coast of Cornwall. Its historic streets are full of tiny, whitewashed cottages, but be prepared for a steep climb up many of the paths as the village stretches high up the hillside. Fowey is a pretty little place to spend half a day or so walking around. Its narrow streets have plenty of craft shops that appeal to tourists. Head down to the harbour for views across the river and to see the colourful fishing boats, or perhaps take a peek in the little aquarium which is full of native species. There are plenty of tea shops and several restaurants so you can have your fill of cream tea. As well as walking through the streets you can take a boat trip up the estuary, which is a pleasant and relaxing cruise, or take the chain ferry across the river to Polperro, a slightly larger village which sits opposite Fowey. An alternative trip is to visit Mevagissey which is across the bay and serviced by ferry. There you have it 26 of the best seaside villages in Britain. From Scotland to the north of Ireland and all around England the great British seaside holiday has a vast selection of locations to choose from. Which seaside village is your choice for your British seaside holiday? Now that’s hearing the call of the running tide! So many of my best memories are from time spent at the coast, and this has introduced me to new places I’m excited to explore. It’s also a great reminder of places to return to, like Croyde, just around the bay from the lovely Saunton Sands, complete with its huts and dunes. These spots make great winter destinations too, so it’s not even that we have to wait for those sunny days to get the best from the coast. Wow! So much fun info about an area of the UK I n ever really thought about before. Now I want to go! Such a complete guide to some of the most lovely seaside village in the UK. I have only visited Brighton and the Isle of Wright so far but living in London I’ll make sure to explore more of the coastline using this superb guide to find the best destinations. So many beautiful places in Britain to visit the seaside. Lots of adventures to plan from this lovely list! More stunning destinations in the UK to add to our bucket list! Thanks for including our contribution on the Pembrokeshire Coast 🙂 We can’t wait to visit these others one day! This has to be one of the best bucket lists i’ve found 😉 – so many places I’d love to see (more) of on here. I’m a Londoner originally, living in Canada, but thanks to my Dad’s (northern) Irish side of the family we spent many a summer on the cold beaches of Port Rush and Port Stewart – thanks for bringing back those memories! Happy travels and enjoy the UK! Thanks for including us! What a fabulous list of seaside gems! Great inspiration for future trips!